Maybe batch printing just isn't for you. You want that distinguished quality and uniqueness that only a bespoke job can give. Or you may have some colour issues. Your brand might be very specific about its corporate identity and therefore its brand colours / spot colours; meaning the only way to print the job is bespoke (on its own). 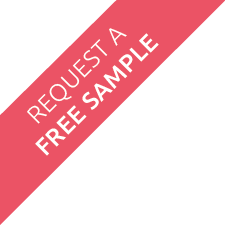 What difference is there when ordering a bespoke business card? A bespoke job will take longer than any of the cards above, simply because more care will be taken over the job. It deserves it's own space on the press and a high spec business card job may require extensive extra finishing procedures on your cards (Embossing, Foil Blocking, Thermography and so on). These processes take the job off our factory floor and along to a specialist, before coming back in for trimming, packing and despatch. One important thing to note with bespoke business cards is they can be expensive. The setup time for each process of the job will often mean it is not economically viable to run the cards as a bespoke job - which is why we will always push the batch print options above to you first. For a free quote just fill out our quote request form. When is a business card considered bespoke? 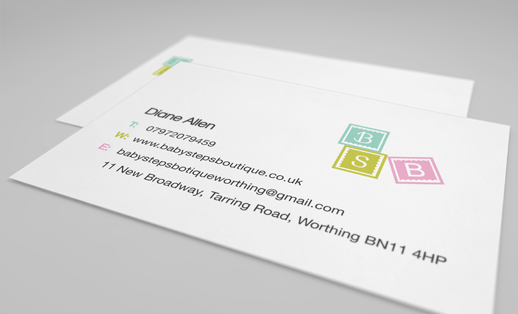 There are three key areas that define business cards as bespoke; shape, stock and finish. First impressions are a key factor in securing future business, so make sure your business cards give off the vibe you want – our bespoke business cards are sure to impress your potential clients. The shape of your business cards can influence the design, therefore certain shapes may be more suitable for you and your branding. Square business cards are ideal when you are looking for an even and controlled style as they offer you an equal canvas to work on. Similarly, our mini business cards offer a smaller surface area than our standard business cards, allowing you the freedom to create a minimal design. For those of you who are interested in a more bespoke shape, our die-cut business cards could be the perfect choice for you. With die-cutting, you can have almost any shape you desire, from something as simple as a circle to a more complex contour such as an animal. This option is very much a personal choice where the possibilities are endless. If you like the size of our standard business cards but are looking for something a little different, you could opt for rounded corners which will help your cards to stand out from the rest. This option ensures your business cards can still slip easily into a wallet – perhaps even more smoothly as those pesky, pointy corners are eliminated. Certain types of stock would class a business cards as bespoke. These include Brown Kraft Board which you may wish to order if you’re looking for a more natural appearance. The brown finish can really help to enhance your design and create a positive impact on your target audience. This type of stock is especially practical for loyalty cards as it allows the stamp’s ink to dry efficiently. Any branded paper, such as Mohawk, would also make your business cards bespoke. The Mohawk brand can be printed as Duplex, Triplex or Quadplex (multi-layered) business cards. Offering varied thickness, provides you with a wider range of choice. The Triplex and Quadplex versions can also have a hint of colour as you can choose from 12 coloured inserts, opting for one that compliments your design. Pantone printing is an expensive process; therefore, it’s ideally only used when it’s imperative the colours are 100% accurate for your branding. There’s nothing worse than having a series of printed media, each with varied shades of the same brand colours. This is a rare occurrence but can happen when your business cards are printed on a different press to your other business stationery. As a result, we advise you always use the same print process for all items or if you have the budget, opt for Pantone printing where you’re guaranteed to get the same result every time. Digital embossing/spot UV, foil blocking and motion cutting will all give your finished cards that extra touch. If you want a certain section of your design to stand out further, digital embossing or spot UV would be a great addition. Similarly, foil blocking is sure to catch everyone’s eye as well as the light. Our motion cut business cards are great when you want to add depth to your cards. They consist of three layers, where the top and bottom layers can be cut into with any shape allowing the middle layer to show through. The newest addition to our finishes is painted edges. We can now offer you a variety of paint colours which all edges of your business cards will be painted with. This finish would work especially well for anyone in the Artistic industry, adding a subtle impression of your career. Now it’s over to you You now have a variety of choices to enable your business cards to be bespoke and rise above the rest. In order to get the best result, make sure you pick the option that ultimately accommodates you, your business and your audience.